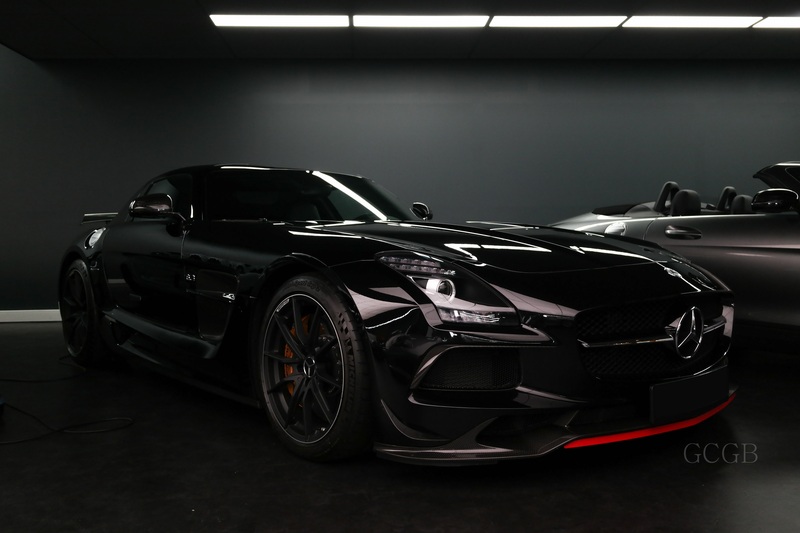 Mercedes Benz SLS AMG Black Series. In black. A "hidden" street in Buffalo, NY. A row of townhouses raised roughly 1 story above street level with a drawbridge castle at the end….